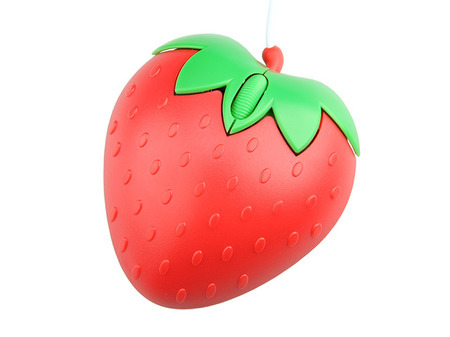 Yes, I’m a sucker for computer accessories shaped like fruit. What of it? 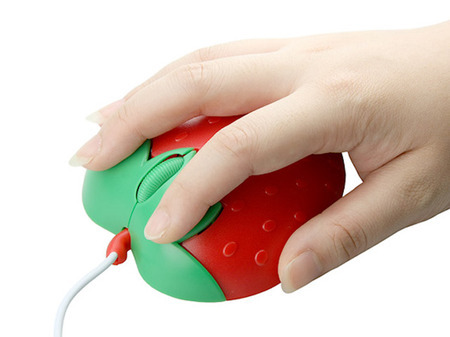 So this strawberry-shaped mouse looks great to me. 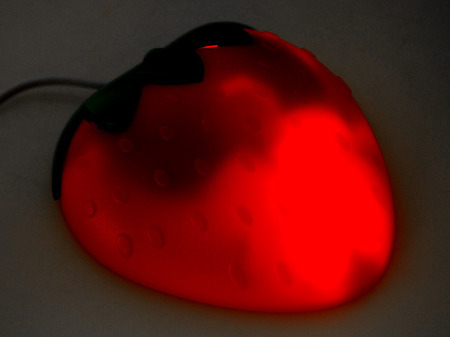 It’s a simple plug and play USB mouse from Gadgets4all, uses optical tracking, and does all the basic mouse stuff but looks like a strawberry. And yes, it glows in the dark. 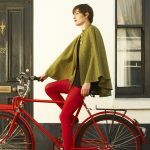 do you know where can i get it?